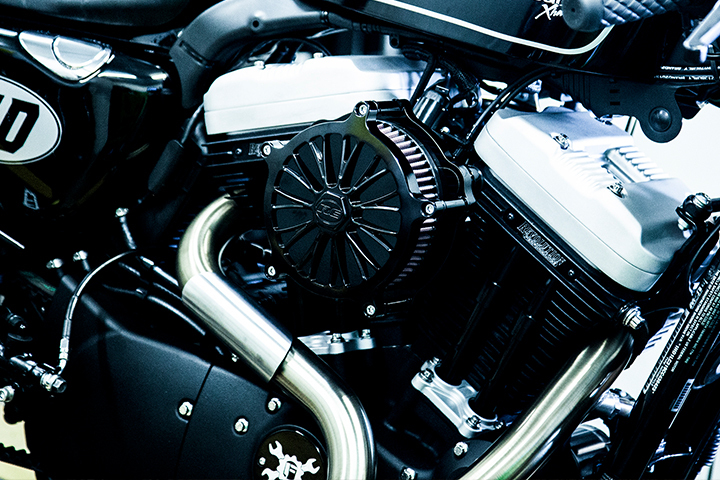 CLICK HERE for Twin Cam, Evolution and Sportster Motor Break-In Installation Instructions. Inspect all components for any damage or missing items. Clean cylinder bores completely with brake cleaner, then red solvent oil. Clean pistons and rings completely with red solvent oil. Clean wrist pin bores with red solvent oil. 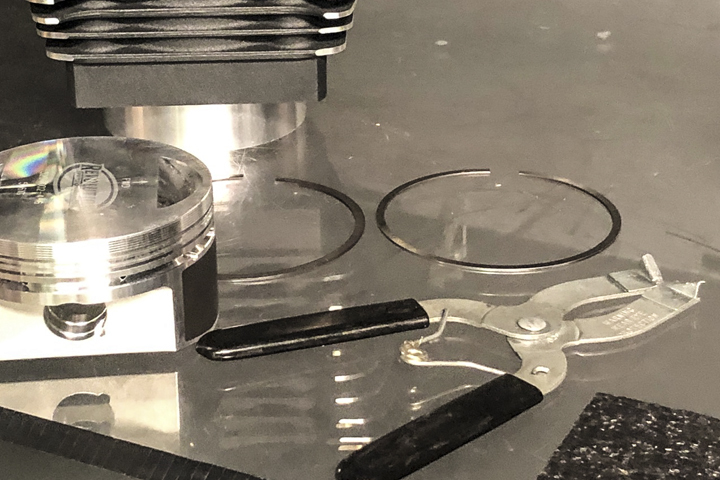 Piston ring gap should be a top ring minimum of .0045” and second ring to .0050” multiplied by per inch of bore. You can allow for up to +.004” over the minimum clearance (example: 3.938” x .0045” = .018”). Clean rings with red solvent oil. Expander rail (ENDS UP) (VVVVVV VVVVVV). Second ring dot or letter indication UP. Top ring dot or letter indication UP. Prep and clean wrist pin area on flywheel assembly. Prep and clean case surface and cylinder head surface prior to installation. Coat cylinders and pistons generously with red solvent oil provided with the parts. Insert cylinder dowel pins provided with the cylinders. Install complete piston assembly on connecting rods. Install Wrist pin clips using the appropriate wrist pin clip tool. Using the proper ring compression squeeze rings. Slide cleaned cylinder over pistons and rings. If any ring should pop out remove and begin again. Clean off any residual assembly lube on surfaces. Now that you have your engine assembled and ready to fire, there are a few initial startup guidelines that we encourage you to follow to insure proper break-in and long life for your engine. Our research has determined that at least three initial heat cycles produces the best all-around results for initial break-in and ring seal. A heat cycle consists of starting the engine and bringing it up to normal operating temperature then, turn off and allowing it to cool to ambient temperature. This allows the material to stabilize without insult and promotes a much smoother overall break-in cycle. Once the heat cycle procedure is performed the engine is not broken in but is ready to be ridden. We highly recommend that you ensure that your machine is in an adequate state of tune before riding. A trip to your local dealer or service shop is recommended for confirmation if you have any doubts. Again, through extensive research, we have determined that the first fifty miles are the most crucial with the next four hundred fifty miles following a close second. Unless you have completely rebuilt the lower end with new bearings and components five hundred miles are enough. Our recommended behavior for break-in is to not exceed 2500 to 3000 rpm for the first fifty miles with varying throttle input and no prolonged idling of the engine. A nice twisty back road works great to encourage this technique. At the end of the first fifty miles change your oil and filter to ensure that all initial break-in particles and fluids are removed. For the next four hundred fifty miles 3000 to 3500 rpm is a good limit and varying throttle input, especially on long highway trips, is encouraged. After five hundred miles of riding you should change your oil and filter again using a synthetic lubricant and a quality filter. You should note the level of oil in your tank to ensure that oil consumption during break-in has not been excessive. A small amount of oil consumption during this time is normal but should stabilize following break in. At 2500 miles oil and filter should be changed again and this routine can be followed for the life of your engine. Cycle 1 – Bring engine up to operating temp, perform three pulls at 50% throttle taking the bike from 1500 rpm to 3000 rpm then cool to ambient temperature. Cycle 2 – Bring engine up to operating temp, perform three pulls at 75% throttle taking the bike from 2500 rpm to 5000 rpm then cool to ambient temperature. Cycle 3 – Bring engine up to operating temp, perform three pulls at 100% throttle taking the bike from 3000 rpm to 5500 rpm then cool to ambient temperature. Once this process is complete you are now ready to complete the full tune on the bike. Once the tuning is complete the bike is ready to go! CLICK HERE for Milwaukee Eight Motor Break-In Installation Instructions. Install support rail, DIMPLE FACING DOWN. Install the dimple end on the piston first, then spiral on holding second end away from piston to avoid damage. Push the support rail to the top of the groove. 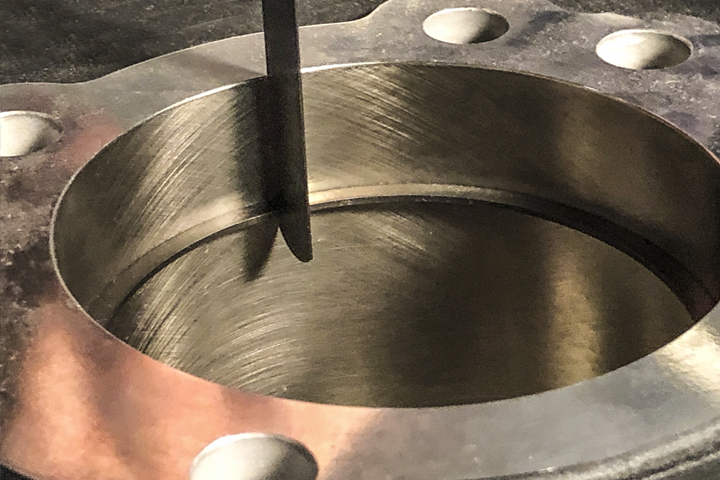 Install piston on connecting rod. 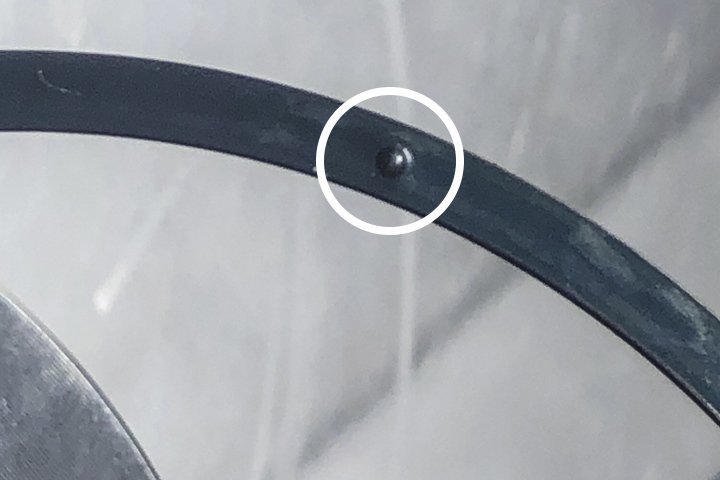 Insert wrist pin clips, push the support rail back down to the bottom of the ring groove. 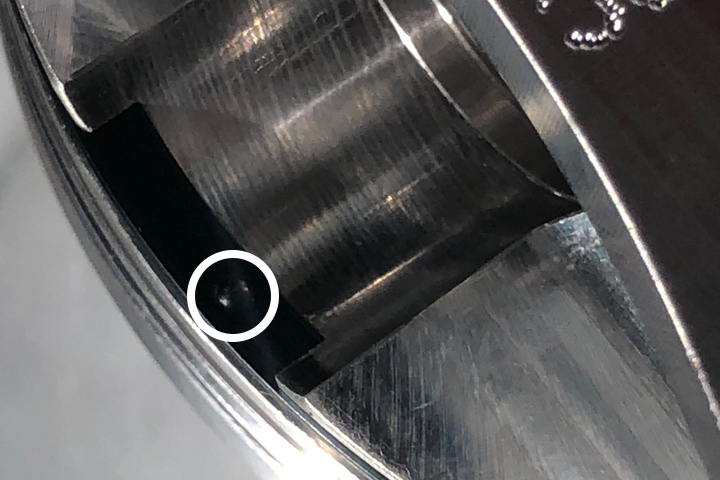 You MUST make sure the dimple is in the groove cut out gap for the piston pin. Coat cylinders and pistons generously with red solvent oil provided with these parts. Using the proper ring compression tool, squeeze the rings. Slide cleaned cylinderds over the pistons and rings. If any ring should pop out, remove and start over. Insert cylinder dowl pins provided with these cylinders. Torque sequence: 10 ft/lbs, 20 ft/lbs, 25 ft/lbs, 30 ft/lbs, 35 ft/lbs, and finish at 45 ft/lbs. A heat cycle consists of starting the engine and bringing it up to normal operating temperature then, turn off and allowing it to cool to ambient temperature. This allows the material to stabilize without insult and promotes a much smoother overall break-in cycle. Once the heat cycle procedure is performed the engine is not broken in but is ready to be ridden. 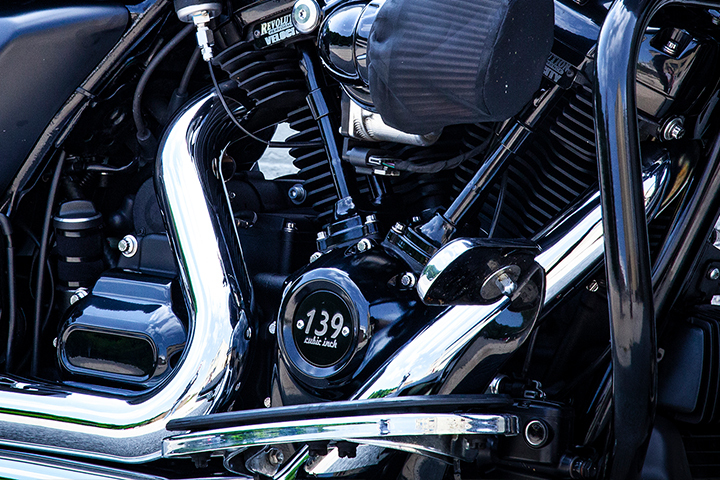 We highly recommend that you ensure that your machine is in an adequate state of tune before riding. A trip to your local dealer or service shop is recommended for confirmation if you have any doubts. Again, through extensive research, we have determined that the first fifty miles are the most crucial with the next four hundred fifty miles following a close second. Unless you have completely rebuilt the lower end with new bearings and components five hundred miles are enough. Our recommended behavior for break-in is to not exceed 2500 to 3000 rpm for the first fifty miles with varying throttle input and no prolonged idling of the engine. A nice twisty back road works great to encourage this technique. At the end of the first fifty miles change your oil and filter to ensure that all initial break-in particles and fluids are removed. For the next four hundred fifty miles 3000 to 3500 rpm is a good limit and varying throttle input, especially on long highway trips, is encouraged. After five hundred miles of riding you should change your oil and filter again using a synthetic lubricant and a quality filter. You should note the level of oil in your tank to ensure that oil consumption during break-in has not been excessive. A small amount of oil consumption during this time is normal but should stabilize following break in. At 2500 miles oil and filter should be changed again and this routine can be followed for the life of your engine. If you are doing your break in on the dyno, please follow these guidelines to ensure proper break-in. Now that you have your engine assembled and ready to fire, there are a few initial startup guidelines that we encourage you to follow to insure proper break-in and long life for your engine. 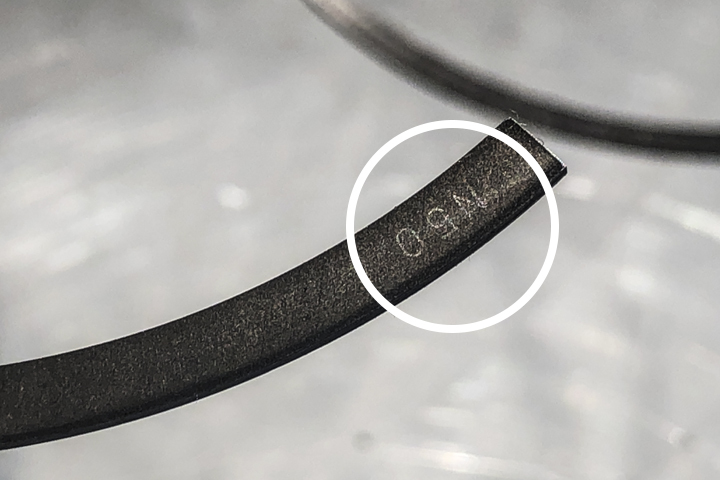 Our research has determined that at least three initial heat cycles produces the best all-around results for initial break-in and ring seal. 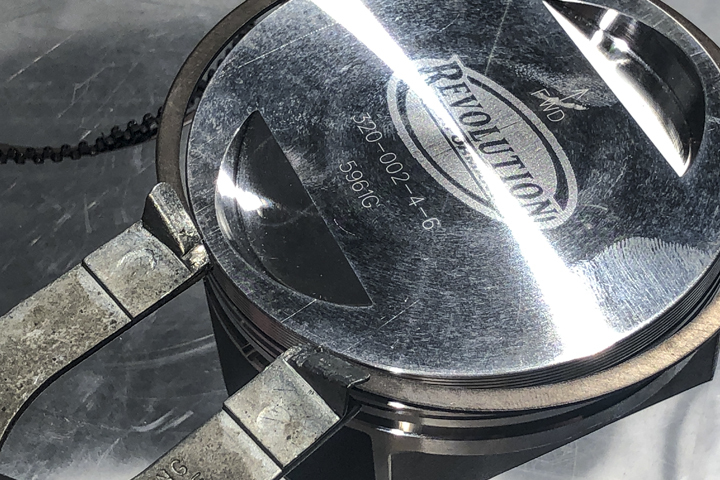 Cycle 2 – Bring engine up to operating temp, perform three pulls at 50% throttle taking the bike from 1500 rpm to 3000 rpm then cool to ambient temperature. Cycle 3 – Bring engine up to operating temp, perform three pulls at 75% throttle taking the bike from 2500 rpm to 5000 rpm then cool to ambient temperature. Cycle 4 – Bring engine up to operating temp, perform three pulls at 100% throttle taking the bike from 3000 rpm to 5500 rpm then cool to ambient temperature. If you have ANY questions or concerns during this process please do not hesitate to contact our tech department for any directions.